Stand out from the crowd in the Chase Me playsuit in cream floral ! This is the playsuit that you need in your life! 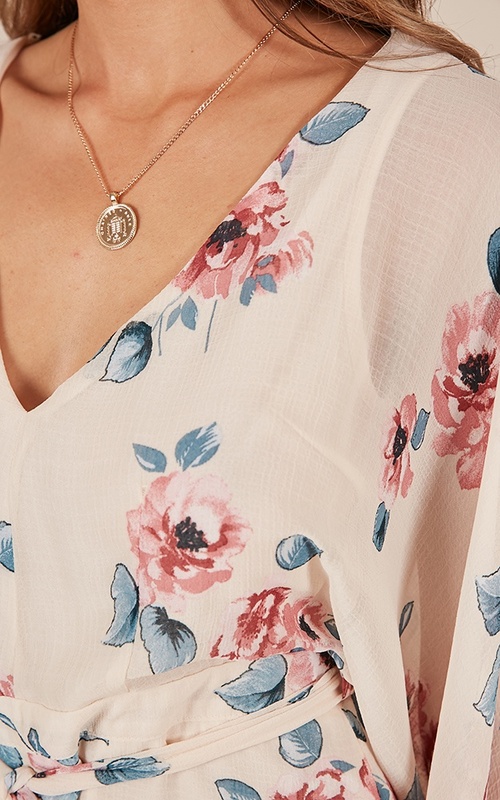 Sitting at a mini length and featuring floral detailing , you'll never want to take this stunning piece off! This outfit is love !